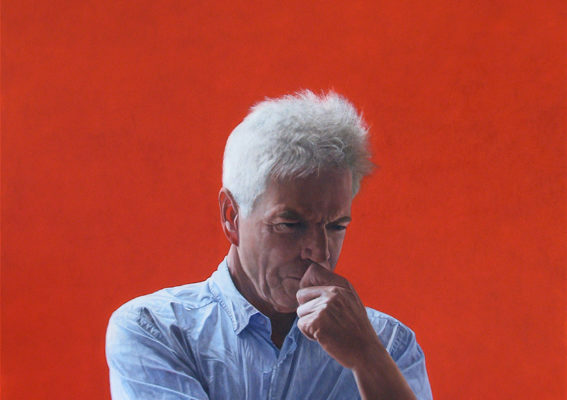 The Holding Redlich People’s Choice Award Winner for 2013 is Christopher McVinish, with his painting, Portrait of Colin Friels. The Salon des Refusés was initiated by the S.H. Ervin Gallery in 1992 in response to the large number of works entered into the Archibald Prize not selected for hanging in the official exhibition. The Archibald Prize is one of Australia’s most high profile and respected awards which attracts hundreds of entries each year and the S.H. Ervin Gallery’s ‘alternative’ selection has become a much anticipated feature of the Sydney art scene. The protests that followed the Academy’s 1863 decision were so public and so pointed that eventually Napoleon III himself appeared at the Palais de l’Industrie and demanded to see the rejected works. He then instructed the Academy to reconsider its selection and when it refused, the Emperor decreed that the rejected paintings go on display in a separate exhibition. And so the phrase Salon des Refusés entered into the world’s artistic lexicon. Each year our panel is invited to go behind the scenes of the judging process for the annual Archibald Prize for portraiture and Wynne Prize for landscape painting and figure sculpture at the Art Gallery of New South Wales, to select an exhibition from the many works entered in both prizes not chosen for the official award exhibition. The criteria for works selected in the Salon are quality, diversity, humour and innovation. Our panel viewed 868 Archibald Prize and 763 Wynne Prize entries at the Art Gallery of New South Wales to select the 57 works for this alternative exhibition. The Salon des Refusés exhibition at the S.H. Ervin Gallery has established an excellent reputation that rivals the selections of the ‘official’ exhibition and is often cited as a more lively and discerning selection.